You’ll start today with a visit to Wat Arun – Temple of the Dawn. Named after the Indian God of Dawn - Aruna, this impressive landmark of Bangkok sits majestically on the westbank of the Chao Phraya River. The rest of the afternoon is free for optional activities, and this city has so much to offer – perhaps head next door to the magnificent Grand Palace and the Temple of the Emerald Buddha or Wat Pho, home to the country's largest reclining Buddha and keeper of the magic behind Thai massage. You may want to take a riverboat to Chinatown and explore the crowded streets, or travel by longtail boat down the Chao Phraya River to explore the famous 'khlongs' (canals) of Bangkok. Life along these canals seems a world away from the chaotic streets of the capital. Tonight you will board an overnight train southbound for Surat Thani (approximately 13 hours). Notes: Sleeper trains are clean and air-conditioned, and beds are multi-share compartments with bunk bed padded berths with sheets, pillow and blanket provided (although some people prefer to bring their own sleeping sheet). Please note that you may be sharing compartments with locals of the same or opposite gender. Your baggage will travel in the carriage with you. There's also a food and drink service available on board. Some may find the air conditioning on the train quite cold overnight so best to pack a jumper and some long pants. 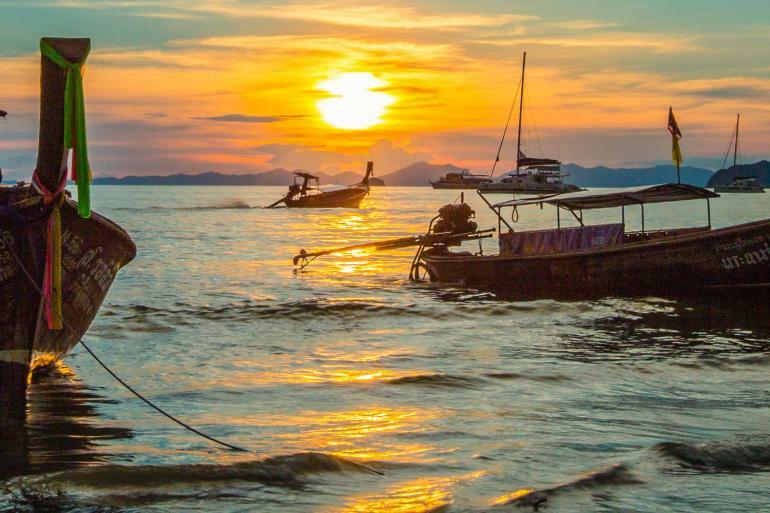 Transfer by vehicle and longtail boat to the island of Ko Yao Noi (approximately 2 hours). Set in the heart of Phang-Nga Bay, the chilled-out island of Ko Yao Noi is a great place to relax away from the tourist trail and absorb its natural wonders. 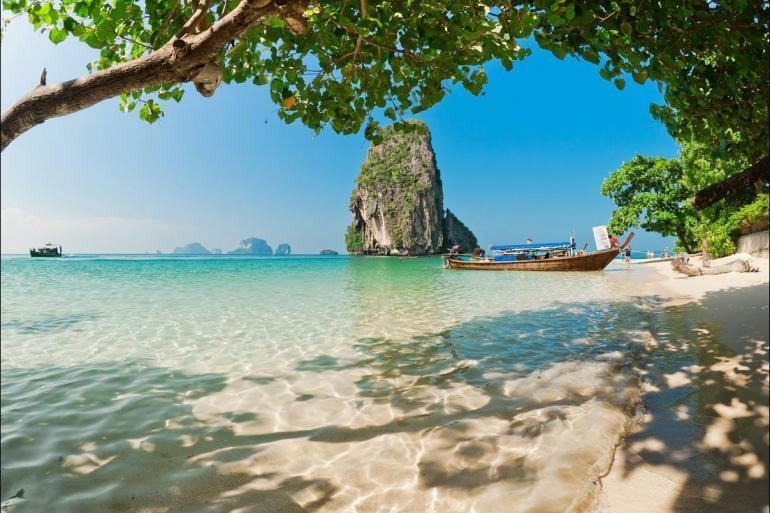 It has unspoilt shorelines, beaches and coves, a dramatic mountainous backdrop, fantastic views back across to the limestone islands of Ao Phang-Nga, and friendly locals. The afternoon is free to take an island tour, along roads that may still be dirt, past dense green forest to visit fishing villages and rubber plantations to meet the locals, or perhaps simply appreciate the islands serenity and beauty, coupled with some swimming in the crystal clear waters. Notes: In the event of unfavourable weather conditions, we may be unable to travel to Ko Yao Noi. Alternative arrangements will be made to stay on Phuket Island.